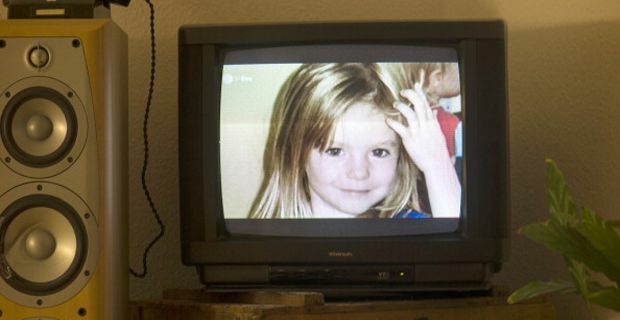 British police are reportedly set to make arrests in their investigation into the disappearance of Madeleine McCann. Nearly 7 years on and with fresh energy injected into a new inquiry, a spokesman for the McCann family has told the Daily Mirror that police were ready to arrest and interview "key suspects". Scotland Yard confirmed that it had contacted the Portuguese authorities and had sent a ‘letter of request’ though they would not elaborate any further. The Mirror claimed that officers from the Metropolitan police have now flown to the Algarve to speak to three burglars who were active in Praia da Luz, the Portuguese resort where the three year old Madeleine disappeared on 3 May 2007. The case appeared to take on a new lease fo life last year when the Met announced new leads and appeared on BBC Crimewatch. Officers had said that they were keen to track down the men being a spate of burglaries in and around the Ocean Club complex on the Portuguese resort. They had also been seeking to discover if there were any links between the burglaries, Madeline’s disappearance and a strange incident in 2006 when children staying in a ground floor flat on the complex saw an intruder break in and stare into a travel cot. Nothing was apparently taken during this incident. Earlier this month, the Daily Mail broke the news that that analysis of mobile phone data indicated that a burglary gang was operating in the Ocean Complex and made an unusually high number of calls to each other in the hours after she was reported missing. The spokesman for Kate and Gerry McCann said: "The letter is a significant development. It is necessary for British police to request the Portuguese authorities allow them to operate on their turf. "It means they have the intention of arresting and interviewing X, Y or Z. We don't know who they have their sights on but it's likely it is the burglars." He said Madeleine's parents did not want to get their hopes up but "realised it could be a significant new lead". He also said it was not a formality that the Portuguese authorities would co-operate.